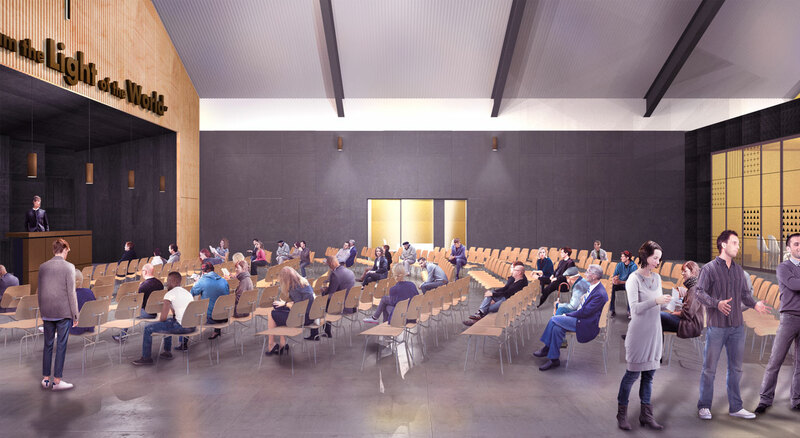 Following an invited competition and interview process, shedkm were selected by Heswall Parish Parochial Church Council (PCC) to develop proposals for a new church and community facilities to replace the existing Church of the Good Shepherd and Parish Hall on Telegraph Road and Pye Road, in the heart of Heswall town centre. 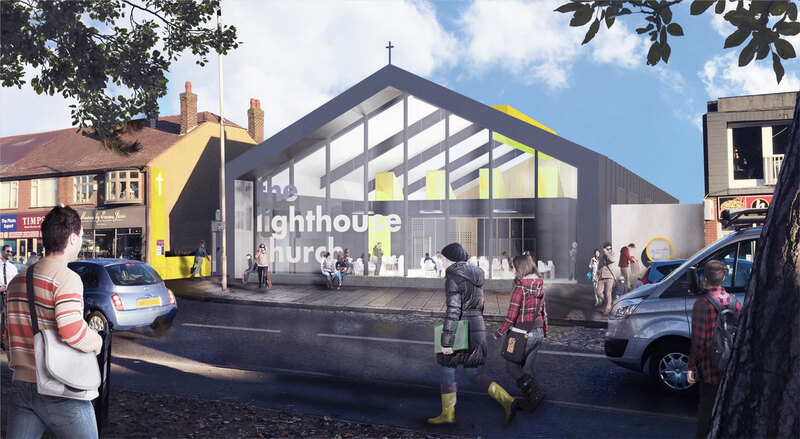 The new church is a simple, rigorous volume extruded to the full depth of the site and with a welcoming front to both ends. Composed of a limited number of components and materials, the building is designed to be simple, usable and deliverable. A straightforward pitched volume – inspired by the existing ecclesiastical form – encloses a layering of primary spaces, with ancillary functions housed in single storey linear flanks. 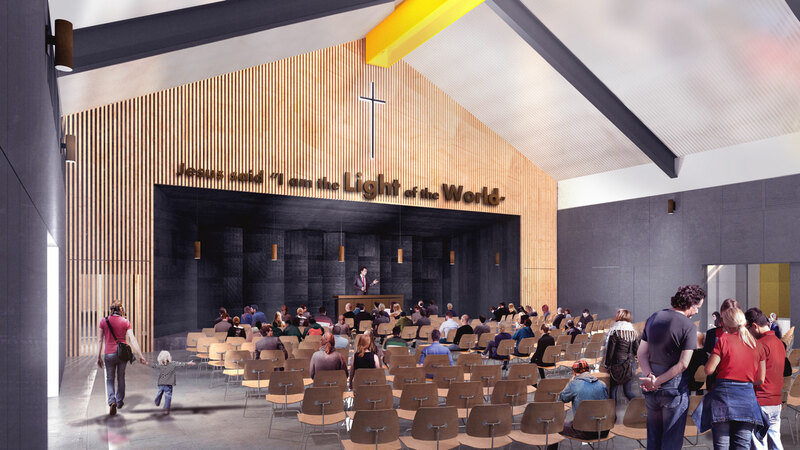 The worship space is physically and metaphorically at the heart of the building, top lit by a generous roof light. 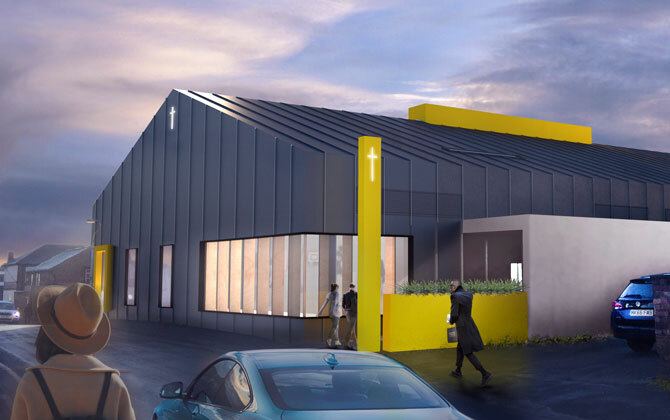 This is revealed behind an interactive reception space behind the glazed principal high street elevation and a flexible community space positioned at the other end of the building. 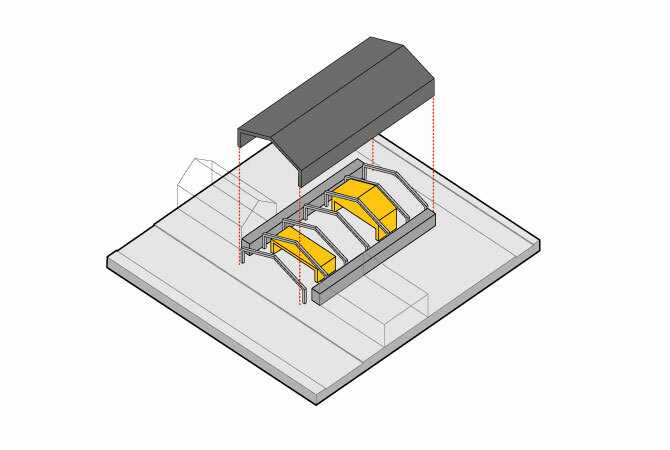 The three main spaces are separated by installed objects containing flexible meeting spaces which can be opened up to extend the main spaces. 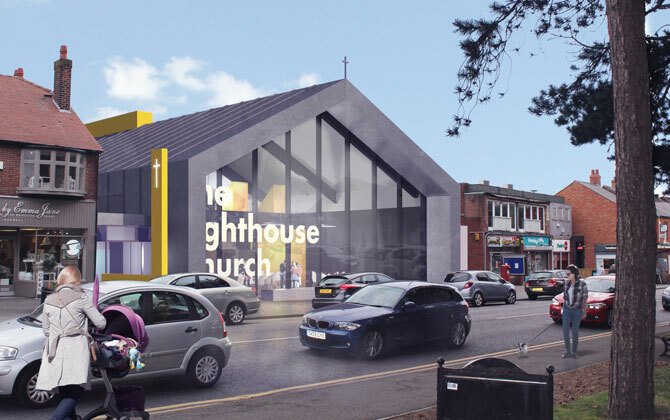 These smaller elements create a layering of uses and spaces visible to the street and a contemporary ecclesiastical identity. 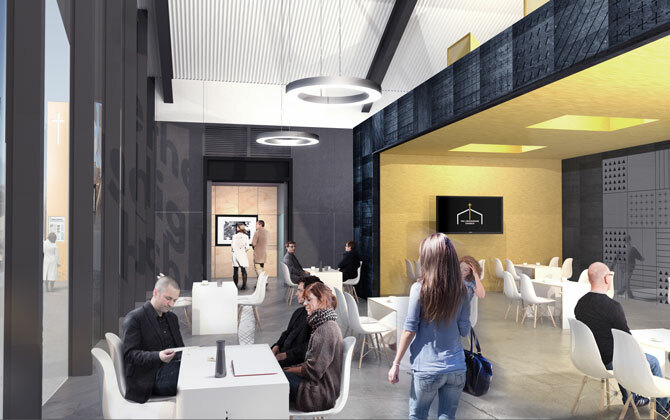 The essence of the proposal is to ‘de-cellularise’ a conventional layout of rooms served by corridors and provide a more flexible and accessible ‘without walls’ arrangement of spaces that flow seamlessly within.